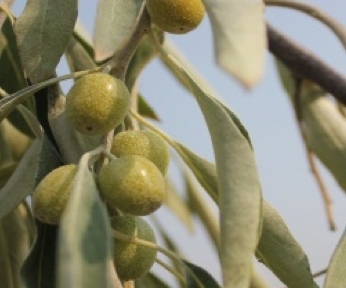 Liana K. D. Collette and Jason Pither (2015) Russian-olive (Elaeagnus angustifolia) Biology and Ecology and its Potential to Invade Northern North American Riparian Ecosystems. Invasive Plant Science and Management: January-March 2015, Vol. 8, No. 1, pp. 1-14. Ryan J. Edwards, Larry C. Clark, and K. George Beck (2014) Russian Olive (Elaeagnus angustifolia) Dispersal by European Starlings (Sturnus vulgaris). Invasive Plant Science and Management: July-September 2014, Vol. 7, No. 3, pp. 425-431. Published by Ruth Richards*, Big Horn County Weed and Pest Control District, Greybull, WY; Mary B. Halstvedt, Dow AgroSciences, Billings,MT and Tom D. Whitson, University of Wyoming, Professor Emeritus. in 2010 Proceedings Western Society of Weed Science. V63:p44.